Sky Landscape was commissioned by the American Medical Association and dedicated March 10th, 1983. The painted aluminum sculpture uses several curved pieces to form a collage in metal. Sky Landscape I reflects Nevelson’s devotion to relief sculpture and the creation of heightened drama within a narrow field of space. Louise Nevelson was born on September 23, 1899 in Kiev, Russia, to Mina Sadie and Isaac Berliawsky. Her father was a contractor and a lumber merchant. In 1902, he immigrated to the United States leaving his family in Russia. Louise felt deserted by her father's departure and was so traumatized that she stopped talking for six months. In 1904, they sold their home and with the money that her father sent, they left for the United States. In 1920, Louise married Charles Nevelson, a wealthy ship owner, and moved to New York. Two years later, their son Myron Mike was born. In New York, Nevelson began to study visual and performing arts, including singing and dancing, and in 1928, she enrolled in New York’s Art Students’ League to study painting and sculpture. At this time, Nevelson was exposed to the artwork of Marcel Duchamp and Pablo Picasso. The celebrity that surrounded being an artist had great appeal for her. Her flamboyant costumes consisted of dramatic clothing, colourful headscarves and elaborate layers of false eyelashes. Her friends and acquaintances included Pulitzer Prize-winning playwright Edward Albee, whose Occupant, a play about Nevelson's life, premiered off Broadway in 2002 with Anne Bancroft in the leading role; Andrew Wyeth; Diego Rivera, with whom she worked briefly as an assistant; and Frida Kahlo. In 1985, she appeared at the White House to receive a National Medal of Arts from President Ronald Reagan. She was photographed for the cover of the May 24, 1958, issue of Life magazine. And she was the subject of a set of Louise Nevelson commemorative stamps issued in 2000 by the U.S. Postal Service. Nevelson, had many of her public art works fabricated of Cor-ten steel by the Lippincott Foundry in North Haven, Connecticut. 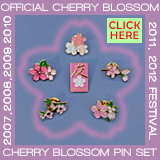 She approached working with metal in much the same way as she approached wood. In both instances she improvised and used methods employed in collage. For example, after discovering stacks of templates for machine forms Nevelson had them assembled and reassembled using cranes, creating the models afterward. In 1979 Mrs. Nevelson made her most visible imprint in the form of the Louise Nevelson Plaza, an entire outdoor environment of her black sculptures on lower Maiden Lane in Manhattan. Louise Nevelson Plaza is the first public place to be named after an artist in New York. Most of Louise Nevelson's works have a teaching or a message as their soul. Nevelson’s work speaks to our unconscious mind, in the spirit of Joseph Campbell and Carl Jung. President Obama recently added Louise Nevelson sculpture to the White House gallery. They bobble, they wobble, they make you smile, they're the The President & Super-O Bobbleheads! Yes, thats right. 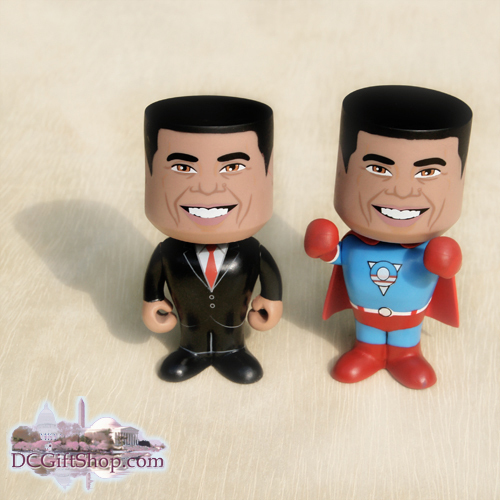 President Barack Obama & his Alter-Ego: Super-O, pair of Bobbleheads collectors gift set.